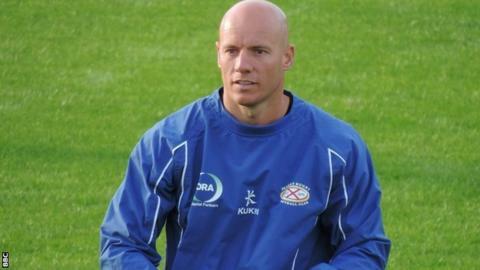 Jersey head coach Harvey Biljon is calling for a repeat of in front of their home supporters. The Islanders entertain Rotherham at St Peter next weekend after their first Championship victory of the season. "We've got to back up this performance in front of our home support," Biljon told BBC Radio Jersey. "Hearing the players coming off saying 'let's get used to winning' - it's a good place to be. Hopefully we'll start getting more results." Jersey bounced back from a with an emphatic 39-12 win over previously unbeaten Nottingham. "I think the performance has been coming, it's keeping that belief in what we're doing," added Biljon. "I'd probably say we'd have taken a point away from home and we've got a bonus-point win, so let's just keep our feet on the ground. "We've got a huge test next weekend against Rotherham and we've got to try and repeat the performance again."